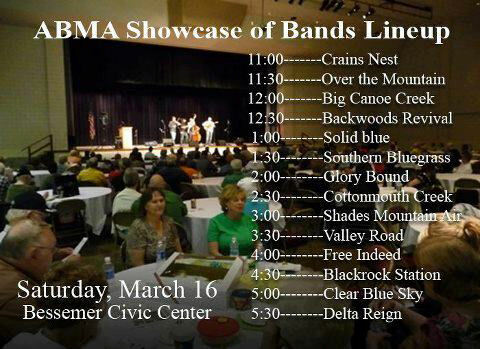 Alabama Bluegrass Music Association‘s 2013 Showcase of Bands is this Saturday, March 16 – 11:00am-6:00pm. Admission – $15, Members – $10. Jamming all day at the Bessemer Civic Center in Bessemer, Alabama.